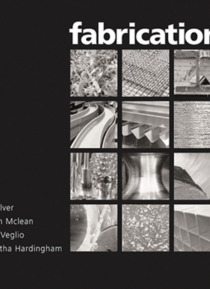 Packed with stunning images this is an indispensable visual guide illustrating and explaining current fabrication processes and material transformation. Providing a documentary of an eclectic range of fabrication techniques, this is the ideal reference for designers who wish to learn more about the materials and current technologies in material production available to them.Featuring the work of 12… fabricators based in the UK, the case studies displayed range from manufacture of complex wire rope, the processes of metal spinning, large-scale composite casting, to computer controlled sheet steel fabrication. With a full knowledge of how the materials are transformed, this book provides readers with a greater ability to employ material processes for their own designs and to better understand material fabrication. This is a book that provides information on contemporary technology and design inspiration in abundance.